In this episode of Growth to Freedom you will discover the tools necessary to increase your company’s website traffic. 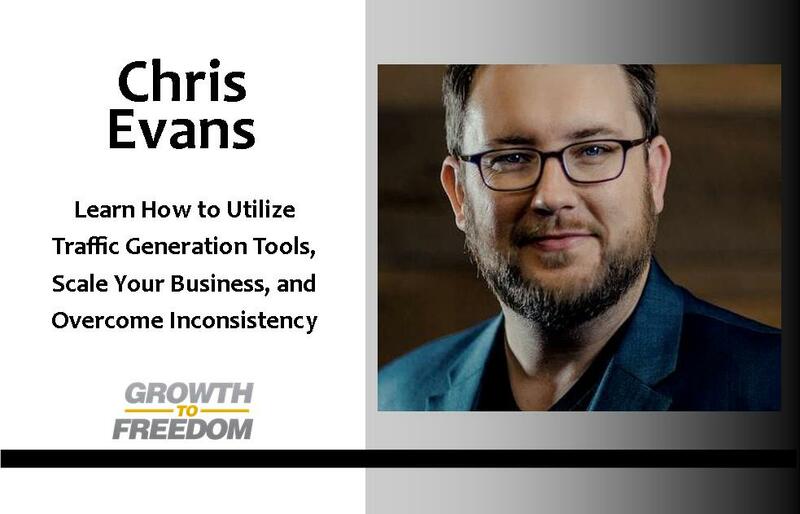 Our guest, Chris Evans, is one of the industry experts in sales and traffic generation. Chris also shares one of the biggest mistakes he sees business leaders make. Learn what it is and how you can avoid it! Chris Evans is a dedicated family man and a successful business leader. Yes you can do BOTH! Listen as he shares how he devotes his time and passion to both of the things he loves. You’ll walk away from this episode with a clear understanding of how you can get started today with the tools necessary to grow your business and increase productivity.